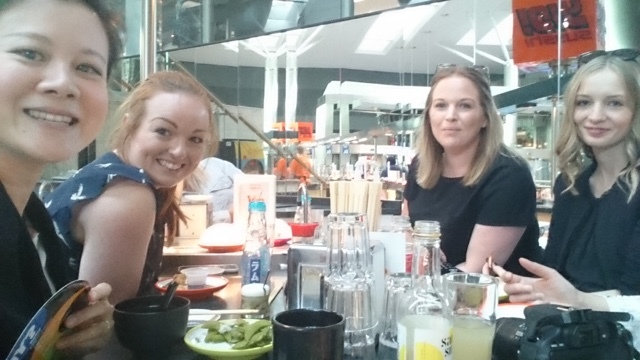 A few weeks ago myself, Jess, Alice, Brogan and Gemma were invited by West Quay Southampton to share with you guys what dining options West Quay have on offer. A few years back West Quay went through a £7m re-vamp of the food court and introduced a number of new restaurants to attract more shoppers to dine in it's food quarter. It was such an improvement from what we had previously in adding in Yo Sushi, Handmade Burger, Eds Diner, Pizza Express, Wagamamma just to name a few. 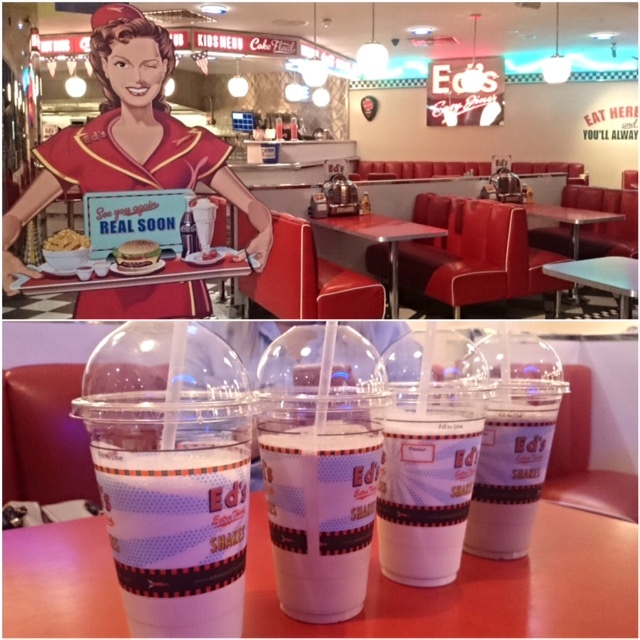 We were invited by West Quay to eat in a few of these places to share with our readers - Starters at Yo Sushi, Mains at Handmade Burger and Desert at Eds Diner! A different course in each of the restaurants how amazing is that! 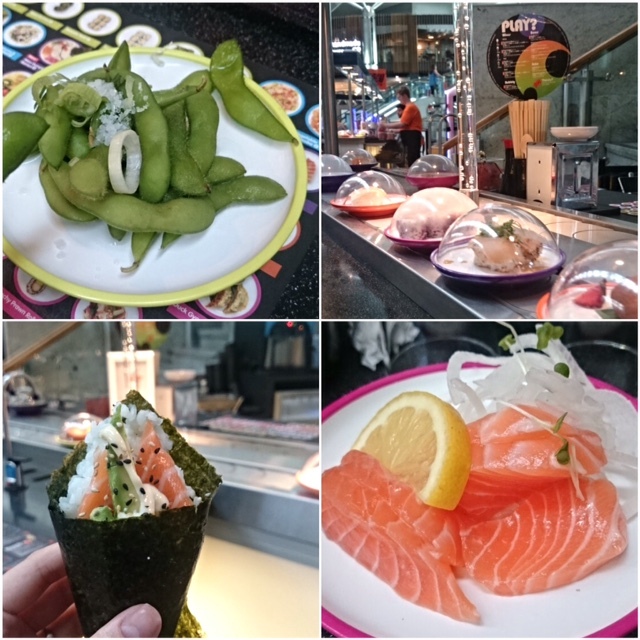 I am sure most of you have heard of Yo Sushi, the conveyor belt that runs around the restaurant with different plates of food on offer and each of the plates are a different colour to show you how much each dish cost. 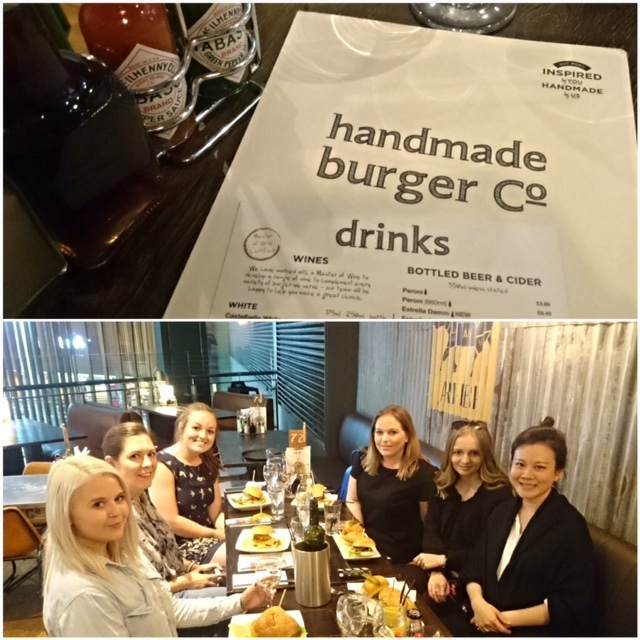 Next we moved over to Handmade Burger Co 2 floors up from Yo Suhi, the restaurant was full however they managed to section of a private area for us which was nice! So many burger options available at this place and when you are hungry you want everything! 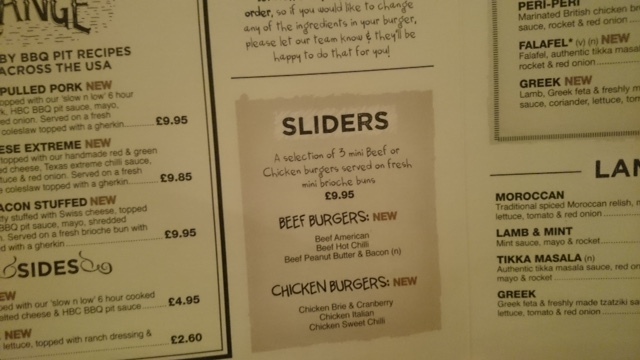 I decided to pick the sliders which is a selection of 3 mini (they were huge) beef or chicken burgers in brioche buns. I went for the classic beef america, beef peanut butter & bacon (I can't believe how good the peanut butter tasted in a burger!) and lastly the chicken chilli. 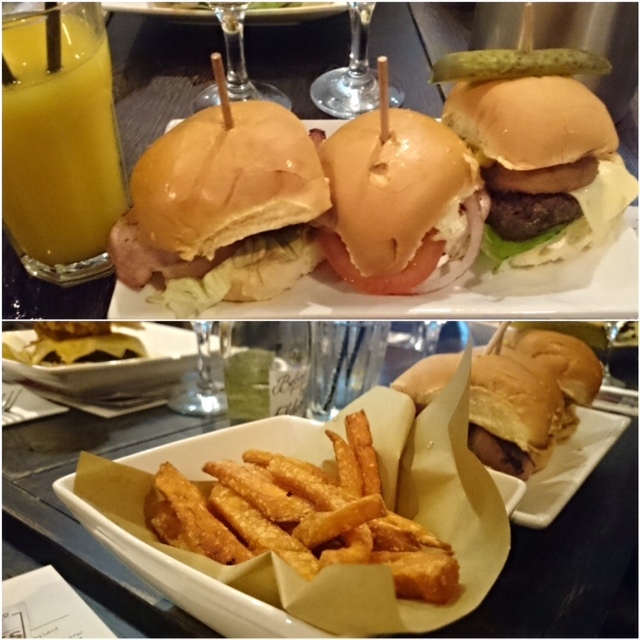 We also ordered some sweet potato chips to share, the mini burger portions were very generous I struggled to finish everything. 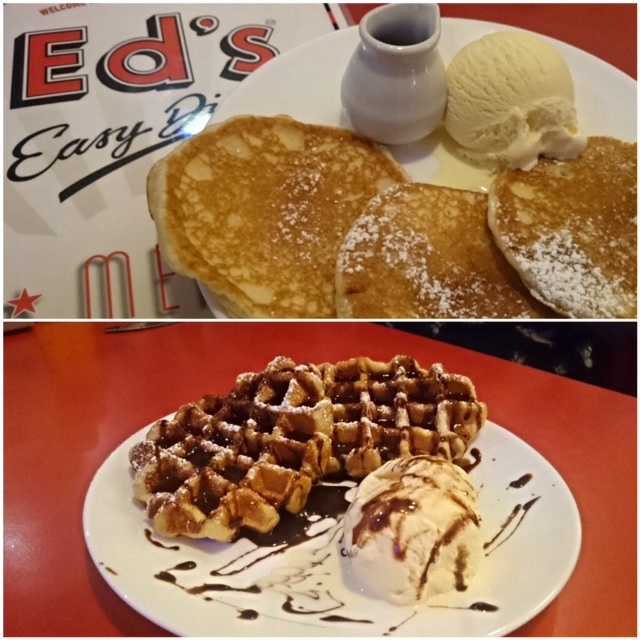 Last up for desert was Eds Diner and it was my first visit. Soon as I saw pancakes on the menu I knew I had to order that straight away. I love soft warm fluffy pancakes with syrup and ice cream, making fluffy soft pancakes at home is an effort for me and shop brought ones are just not the same. I would highly recommend you going there just for pancakes. The girls also ordered one of their famous milkshakes but I just couldn't fit in anymore! We all had a wonderful evening chatting all sorts, thank you West Quay for having us! There are always various offers available so make sure you sign up for their mailing list so you don't miss out on anything or your can down load West Quay Plus app to keep updated. Ah yum! Can't believe how much West Quay has changed now - the last time I was around I was amazed that a Wagamama had finally opened up! I know...we are even getting a victoria secrets soon and they are building phase 2 of west quay! It's definitely improved and it will get better with the 2nd phase of west quay being built. Haha, I'm in Southampton, just departing on a mini-cruise as I type so I can now say I've been to West Quay! Had a Nando's there last night! What a lovely treat to get to try out each place!